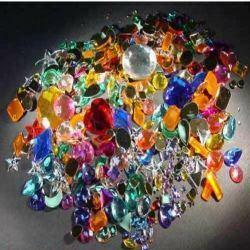 We are an eminent provider of a breath-taking array of Fancy Acrylic Chatons Beads to suit the needs of clients. Sugar Resin and Acrylic Stones to the industry. Keeping in mind the diversified and variegated requirements and needs of our patrons, we provide these beads in several sizes and stipulations to select from. Apart from this, the complete range is inspected on several factors before finally delivering them to our patrons. Backed by expert and experienced professionals, we provide Acrylic Garment Stone.